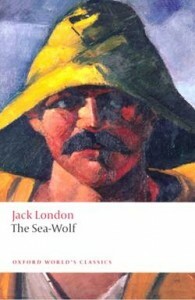 PALMDALE – The Palmdale Playhouse will hold open auditions for the upcoming radio play drama world premier of Jack London’s “The Sea Wolf” on Friday, Jan. 20 at 6 p.m., and on Saturday, Jan. 21 at 10 a.m. at the Palmdale Playhouse, 38334 10th Street East in Palmdale. Roles are available for male and female adults. One role for a strong female between the ages of 25 to 40 is available. Performers should be prepared to read sides from the scripts, which will be provided at the audition. The drama will be directed by Dennis Mohr. All Palmdale Playhouse events may be purchased 24 hours a day on the Playhouse Web site at www.cityofpalmdale.org/playhouse. For information please call the Playhouse at 661-267-5684.